“Our findings raise hopes that the emerging paradigm for the treatment of rare epilepsies, where therapies are targeted to the precise genetic cause of disease, may also extend to a proportion of common epilepsy syndromes,” explained lead study investigator David Goldstein, Ph.D., director of the Institute for Genomic Medicine and professor in the Departments of Genetics and Development and Neurology at CUMC. Over the past several years, scientists have uncovered dozens of genes that alone, or in combination with other factors, cause rare pediatric epilepsies. These discoveries have led to the use of targeted therapies for some seizure disorders, such as the ketogenic (high fat, low carbohydrate) diet in patients with Dravet syndrome or a GLUT-1 deficiency. Other therapies such as quinidine, a medication to treat heart arrhythmias, and memantine, an Alzheimer's disease treatment, have been tried in children with certain gene mutations. These attempts have not proved universally effective for all patients with these mutations, but suggest the potential to repurpose existing medicines to treat rare genetic forms of epilepsy. “Unlike very rare types epilepsies, previous studies had shed little light on the genetic underpinnings of common epilepsies, which suggested that this precision medicine paradigm may have a very narrow application,” Dr. Goldstein noted. 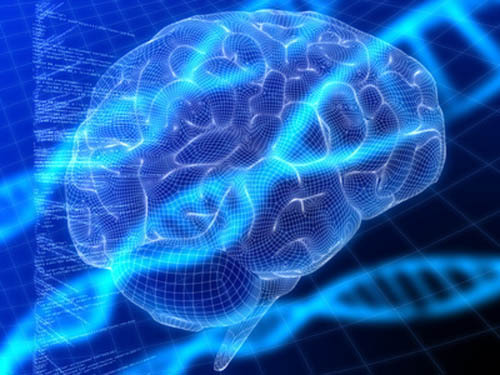 In order to discern more about the genetics of epilepsy, the investigators conducted a study to identify the genetic contributions to the more common forms of epilepsy. The researchers used whole exome sequencing (WES) to compare the protein-coding regions of 1,140 individuals with two of the most common types of epilepsy—using the exomes of 3,877 unrelated epilepsy-free individuals as controls. The analyses were conducted at CUMC's Institute for Genomic Medicine, in collaboration with NewYork-Presbyterian, as part of Epi4K, an international consortium of epilepsy clinicians and researchers, with most of the patients being recruited through the Epilepsy Phenome/Genome Project. To their surprise, the research team found a significant excess of mutations in five genes, previously implicated only in rare forms of epilepsy, in some of the individuals with familial non-acquired focal epilepsy, one of the more common types. A similar pattern was also observed for another common type of epilepsy, genetic generalized epilepsy. “We estimate that these five genes contribute to epilepsy risk in approximately eight percent of people with this common form of the disorder,” remarked study co-author Erin Heinzen Cox, Ph.D., assistant professor in the department of pathology and cell biology and deputy director of the Institute for Genomic Medicine at CUMC.